Every Christmas, we try to get all of the Grandchildren together for a group photo. 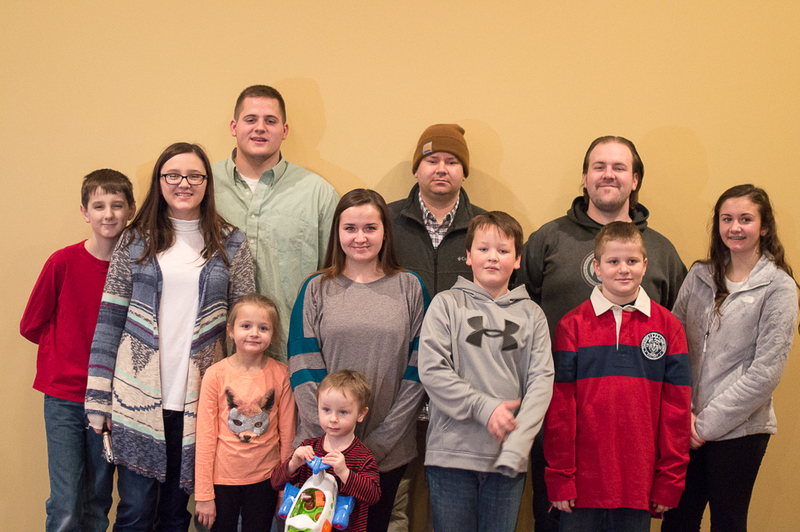 This year, we had 11 of our 14 was able to make it to our gathering on Christmas morning. As you can see, it has happened over time with them being ages 3 to 34. Because of the different times the families celebrate Christmas, I don’t think we have been able to get all of them there at the same time once there were more than 5. We still enjoy them when we can. 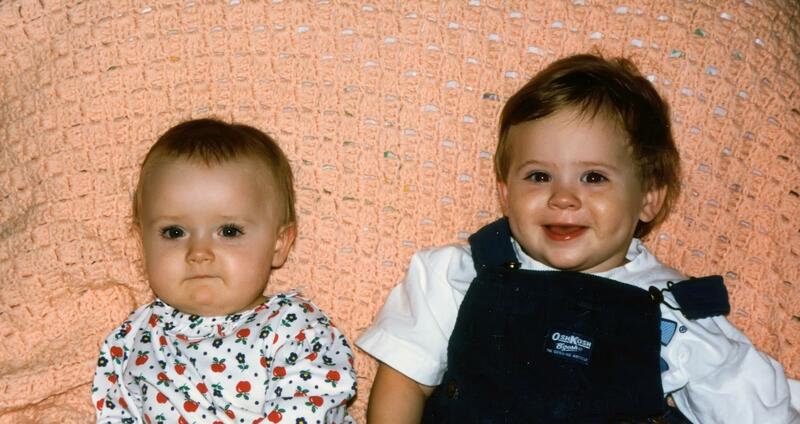 We have two Grandchildren that were born just a couple weeks apart back in 1997 and every year at Christmas, we have been taking pictures of them together. Granddaughter Amber was smaller from the beginning, but over the years, the difference has become quite a bit. Evan (on the right in case you can’t tell) has become a very big boy (actually a fine young man at this point). 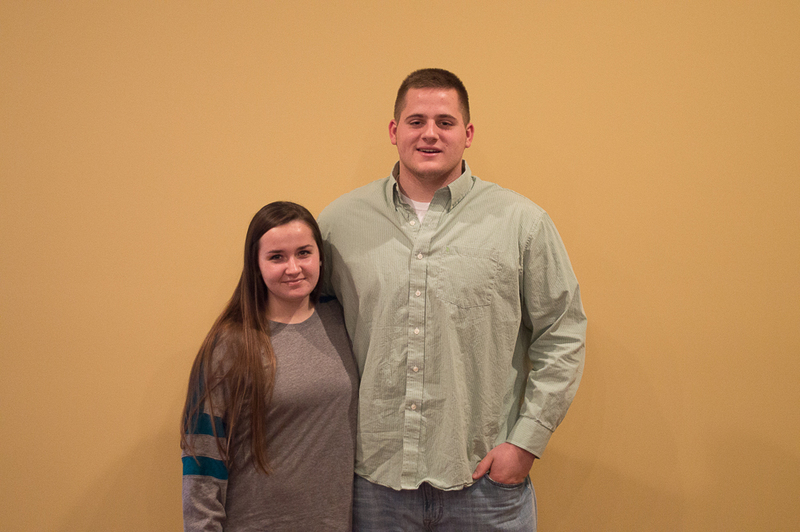 They are both seniors now, I don’t believe Amber will ever catch Evan, don’t think I want her to at this point. We have had a lot of fun with the pictures over the years. They are real good sports about it. I am processing lots of photos from my trip at the end of last month to the Smoky Mountains, so several of them fit the themes, so I am catching up on my weeks. This is of our group that went to the Smoky Mountains. We had a great time, the guys hiked to several waterfalls and Clingmans Dome. I set up my tripod and camera on one of the paths in the woods and tried to get everyone to hold still for a moment so I could get this. We had a great time, saw several shows and ate way too much (justified that because we were working it off on the hiking to see the waterfalls). My four letter word is “Snow”. I was wondering what I would do for this one, but looking out the window gave me a clue. 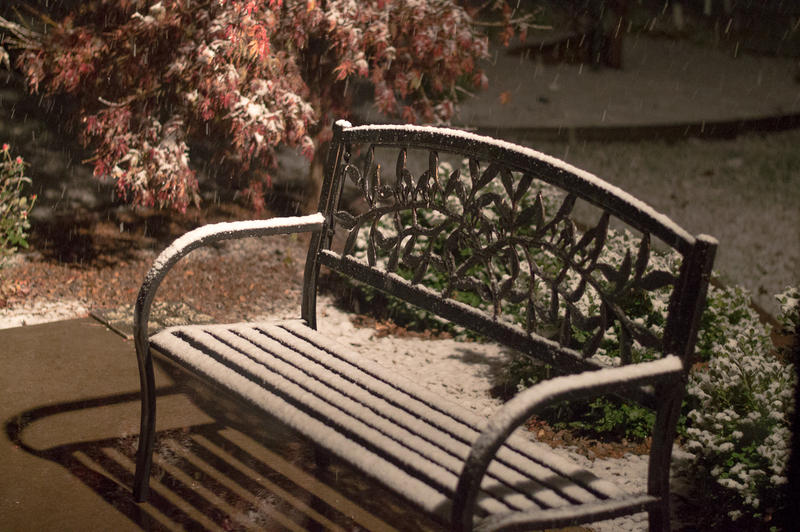 This a photo of the bench on our patio tonight (Nov 16th). This is early for us to have any significant snowfall. The weather service is predicting 3 – 5 inches of this stuff. As you can see from the concrete that it is not cold enough for the snow to stick there, so hopefully it will not stick to our streets either. We don’t get lots of snow in Southwestern Indiana, so a little bit makes them close schools, etc. I don’t have to work tomorrow (Monday), so I don’t care for about 36 hours. 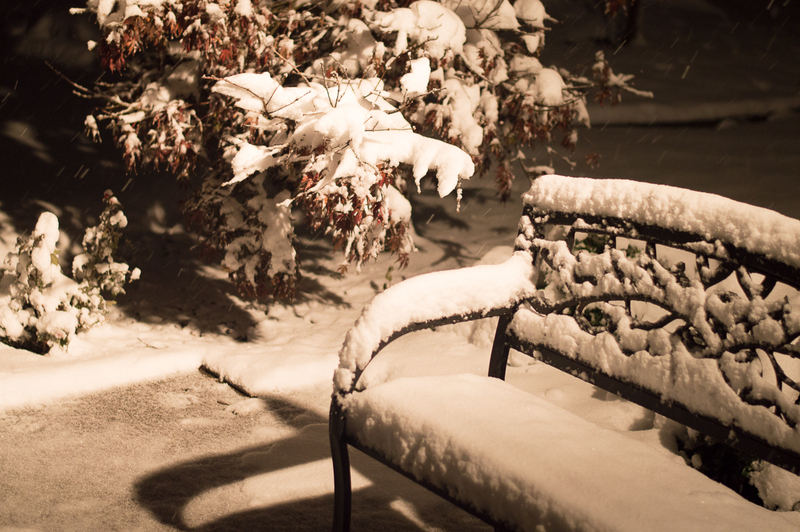 I added the second picture from about 4 AM on the 17th, we did get about 5 inches and some was sticking to the streets. Another photo from the Smoky Mountains. 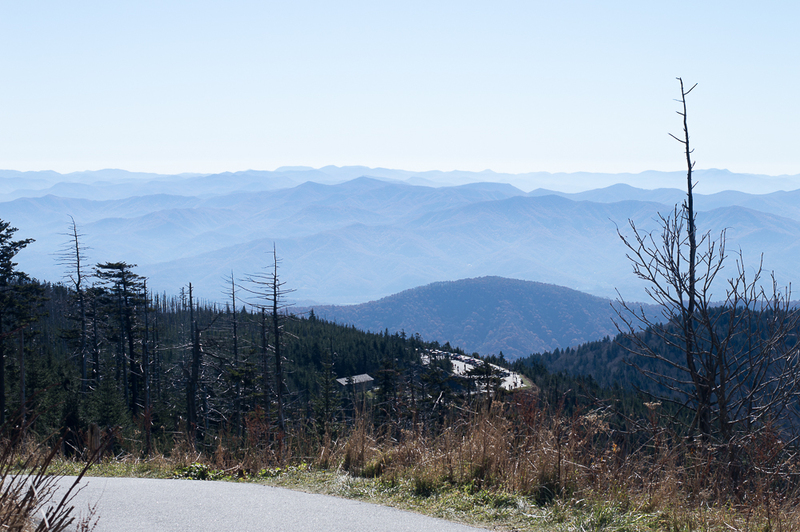 This photo was taken high above the parking lot at Clingmans Dome on the trail to the observation tower. The signs said the hike was only .5 miles, but they neglected to say you went up in elevation about 800 ft. At the time I was doing this, I swore the change in elevation was more like 1500 ft. It required me stopping to rest several times, but the view from the observation tower was worth it. I had friends with me that said they had been there before, but not on such a clear day or at least as clear as the Smoky Mountains can be. Again, another photo from my recent trip to the Smoky Mountains. 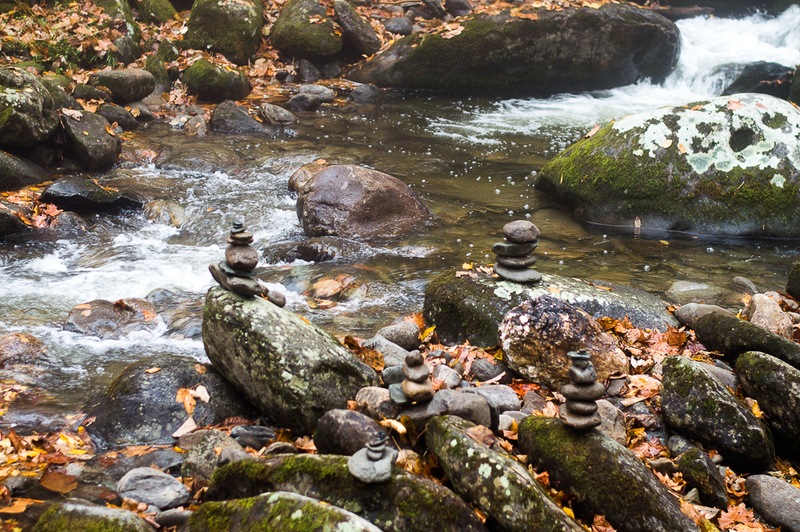 Someone had gone to the trouble of piling up these stones, another place where I could spend hours listening to the water and taking pictures from many different angles. Tags: Smoky Mountains | Permalink. 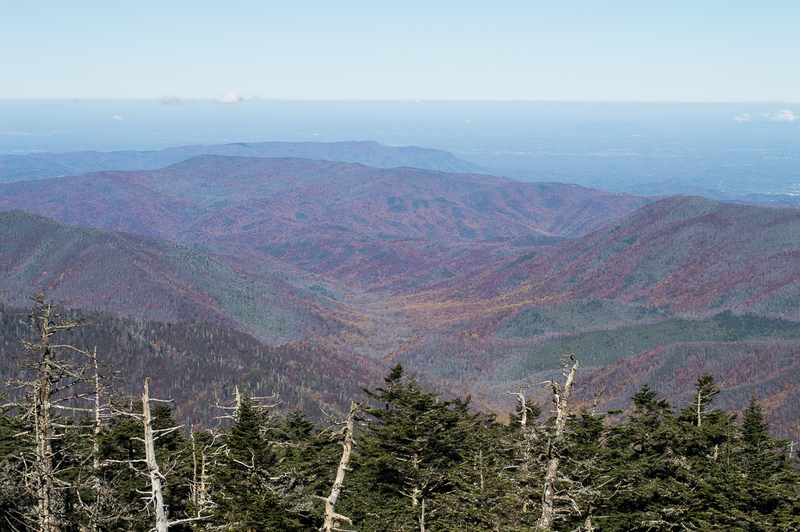 I recently visited the Smoky Mountains, one of my favorite places to go in the fall. This was taken at a lookout point near Newfound Gap. I could have stayed for hours just looking and snapping pictures from different angles. This is about me taking a 52 Week Photography challenge. I am supposed to take photographs of my interpretation of the given themes. Here goes nothing! Wish me luck? Tom & Liz Send Greetings from . . .
My world, as I see it. Excerpts of my life and how I view the world, in writing and photos. A year or so with Mr. V in photos!